Instagram @joeymcintyre: K- kind of a long story but a sweet one. I did @cbsthismorning - really cool, Gayle and Charlie and Nora. They asked me to sign their wall. And so I did and then left for more press for @mccarthyscbs. 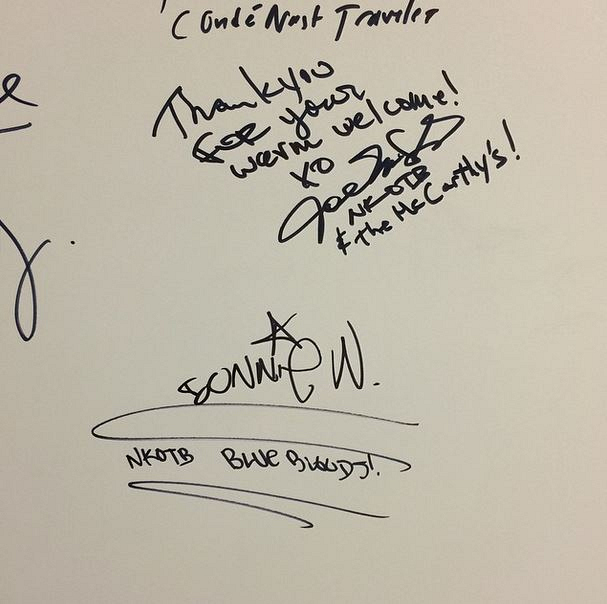 And then we came back to CBS for more interviews and I walked by the wall and noticed for the first time that I signed right over @DonnieWahlberg. Aaand we both signed the same way.